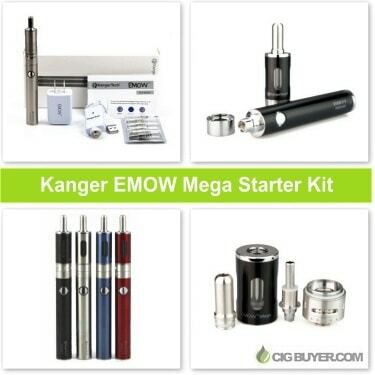 An upgrade of the standard EMOW, the Kanger EMOW Mega is a vast improvement over other mid-size e-cigarettes in this category. It includes a large 1600mAh battery, adjustable airlflow, replaceable dual coil heads and it’s variable voltage from 3.2V to 4.8V. Besides the high capacity VV battery, what really sets the EMOW Mega apart is it’s unique Aerotank “glassomizer.” It’s constructed of glass instead of plastic so it’s less likely to crack, it holds up to 2.8ml of e-juice and it has a fully functional adjustable airflow system – just twist the ring to adjust your draw. * No special coupon codes are required for this deal. Good while supplies last.